According to figures from the Office for National, Statistics Brits are underestimating their calorie intake by 50%, with men typically consuming 1,000 more calories every day than they account for, while women consumed 800 more than they account for. With obesity levels in the UK more than trebling in the last 30 years, these findings fuel national concern even further. Our health experts have listed different ways to help change your lifestyle and get your health back on track. Physical inactivity is one of the biggest health risks in today’s society and can be a significant contributing factor to obesity, heart disease and Type 2 Diabetes. A recent study by researchers in the Netherlands found that breaking up sitting down with light activities, such as walking, brought about significant improvements to being overweight or obese. “Set a reminder to make sure you have a brief walk around the office to get yourself moving and always opt to take the stairs,” says Carnation Footcare Podiatrist Dave Wain (www.carnationfootcare.co.uk). According to the same study, light-intensity walking to break up periods of sitting also improved glucose levels and insulin sensitivity in people with type 2 diabetes. However, research conducted by CuraLin Diabetic Supplement found that of over 2,000 Brits that have Type 2 Diabetes, a quarter (25%) were not taking any steps at all to improve their future health. Type 2 diabetes is a lifestyle disease that can be managed by taking steps to improve your lifestyle such as improving your physical inactivity, upping your exercise and improving your diet. “Emotional or ‘comfort’ eating can be a key cause of weight gain. Because it doesn’t depend on hunger, comfort eating can often be uncontrolled – you don’t necessarily stop when you’re full. What’s more, the most ‘comforting’ foods tend to be sugary foods and carbohydrates, which are easy to overeat and can quickly lead to weight gain when consumed in excess,” explains Cassandra. “Learning to manage your emotions in a different way can help stop emotional eating and help you lose weight if you need to do so. Exercise can be a great way to channel and relieve stress – you may do well with relaxing exercise such as yoga, or something more strenuous to ‘punch it out’ such as kickboxing. Journaling is another popular way to express yourself and let emotions come out,” adds Cassandra. “Plan your meals a few days or a week in advance. By already knowing what you’re going to eat, you eliminate the factor of spontaneity and uncertainty. If you don’t have to think about what to eat at the following meal, you will be less tempted and less likely to experience cravings,” explains Nutritionist and Weight Loss Coach Pippa Campbell (www.pippacampbellhealth.com). If your diet is lacking in protein then you may be more inclined to go back for seconds. “Including protein in your meal helps to slow down digestion, leaving you feeling more satisfied and fuller for longer. In-turn, this can help with weight loss as you’re less likely to have as many calories. To ensure you’re getting your daily dose of protein, try a plant-based protein powder. They are easy to digest and can be kept low-calorie. They can be used to make smoothies or shakes, and also added to savory foods such as stews and soups. I’d recommend Natures Plus Almond Protein Powder (£40.50, www.naturesplus.co.uk),” suggests Cassandra. Do you struggle to control your stress levels? This can have an impact on your weight. “After a stressful event cortisol levels in the blood often remain high for a while, effectively increasing your appetite because your body thinks you should refuel after all this fighting or fleeing. This means people under constant stress quite often feel constantly hungry. Worse, their body urges them to stock up on the foods it thinks will be most useful after all that ‘activity’ – carbohydrates (like sugar) and fats,” explains Leading UK Nutritionist and author of Fat Around the Middle, Dr Marilyn Glenville (www.marilynglenville.com). Have you followed all the recommended advice, yet continuously struggle with losing weight? Everyone is different and what may work for some, might not for others. Find what works for your body by delving deeper into your DNA. 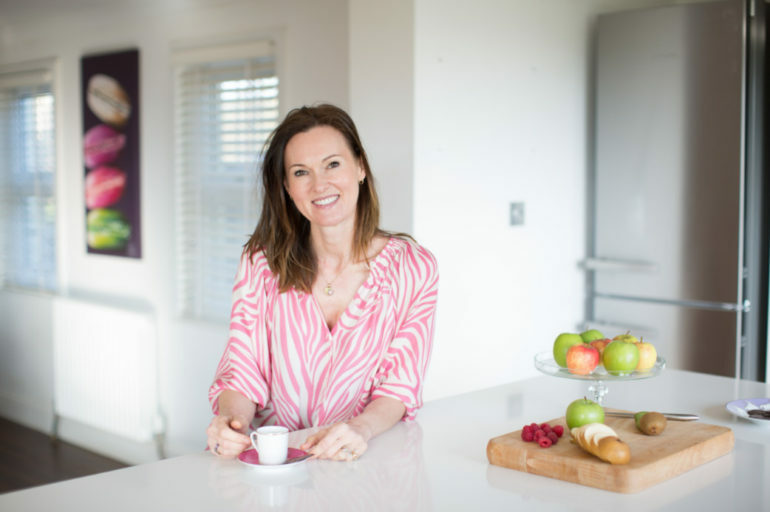 Nutrition and Weight Loss Coach, Pippa Campbell, runs a three-month Metabolic Balance programme that is 100% personalised and actively supports a person’s own biochemistry and nutritional needs (£890, http://www.pippacampbellhealth.com/metabolic-balance/). To begin a blood sample is taken from the client, which is then analysed by medical experts, so that a customised and unique plan can be prepared. The programme aims to strengthen and balance your entire hormonal system, so that you are able to naturally manage weight loss, through minimising hunger and reducing cravings. “Metabolic Balance is a long-term approach to feeling and looking in peak health and is backed by 20 years of research by physicians and nutritionists, that has helped over 600,000 clients in 28 countries worldwide. The plan entails eating three meals a day of normal, wholesome foods,” explains Pippa.